Nichole Chase: Follow Friday: What Is In A Name? 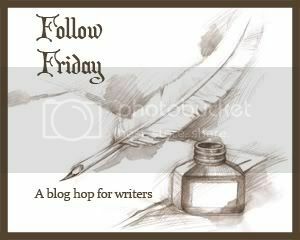 Follow Friday: What Is In A Name? This week's question is: Shakespeare asked What's in a name? But we all know better. So let's talk about names, specifically our blog's name. How did you come up with yours? So, do you want to join in the fun? Here is how you tell everyone how much more interesting your blog title is than mine! 2) Follow the featured author of the week, Paige W. Pendleton. 3) Go to Sharp words and copy the image code found there and paste it in your blog. Add your name to the link at the bottom of the post while you are there. 4) Copy and paste the rules in your blog, as well as this week’s question. 6) Follow, follow, follow. This is about networking, people, making connections with people in your community. So talk to us. We don't bite! 7) If someone stops by, says hi and follows you, the polite thing to do is follow back. 8) Comment here and introduce yourself and you just might find a new follower or two. As I told Michelle sometimes simple is the very best. Absolutely and what a pretty spring green! Never let go of your dreams and nice to meet you. Stop on by my blog and follow and I'll see you next Friday! You are doing the perfect thing: building up online presence so your name can be found. Good for you that you figured it out on your own! I'm here for the adventure, the excitement, and the unbridled thrills! Great name! Easier to find when it's simple. Nothing wrong with that. Have a great weekend! I was dubbed DFA by the co-host of a comedy talk radio show in the States that I had become a semi regular on a couple of years ago - DFA as in Dean from Australia. When I started my blog and decided to go with a Dot Com rather than the standard blogspot DOT com, Dean from Australia seemed the most natural thing to call it. Dean, that is a great story. I think your blog title works wonderfully for you! You're Dean! And from Australia! Perfect. Yep, It's Follow Friday Time! Me? I'm the Featured Author!